After losing her mother and grandmother to Hurricane Katrina, Laurel Daneau begins a new life in a new town, but when her boyfriend T-Boom introduces her to meth, her future begins to look as bleak as her past. Sixteen-year-old Miles, thirteen-year-old Sarah, and their parents find themselves changing in many ways as they struggle to survive winter in a remote cabin, while keeping anyone in the nearby town from learning they are living there illegally after thedevastation of volcanic eruptions drove them from their Minneapolis home. In a near future in which the diminishing oil supply has led to mass rioting, sixteen-year-old Faye is sent to an educational facility for "delinquents and crazies," where she is tormented by strange visions of a being sent to destroy the earth in order to save it. When the beautiful Lucy prays to fall in love, God, an irresponsible youth named Bob, chooses to answer her prayer personally, to the dismay of this assistant, Mr. B who must try to clean up the resulting catastrophes. Suspected in the death of her boyfriend, seventeen-year-old Luce is sent to a Savannah, Georgia, reform school where she meets two intriguing boys and learns the truth about the strange shadows that have always haunted her. Chubby, Jewish, and gay high school sophomore Justin Goldblatt plans to become popular by the end of the year, but instead of dating the star quarterback he catches the eye of Becky, the quarterback's girlfriend, while his best friend, Spencer, stops speaking to him. When Weetzie Bat is a thirteen-year-old junior high school outcast mourning the life her family lost when their cottage in the Los Angeles hills burned down, her father leaves her alcoholic mother without telling either of them where he is going and Weetzie learns how to stand up for herself and to find beauty in even the most difficult situations. Alone after her village is destroyed by Leatherwings, young Melora and her father's horse, Sky, survive on their own with a herd of wild horses until she finds a new home with a civilization of centaurs. In the aftermath of the Haitian earthquake, fifteen-year-old Shorty, a poor gang member from the slums of Site Soleil, is trapped in the rubble of a ruined hospital, and as he grows weaker he has visions and memories of his life of violence, his lost twin sister, and of Toussaint L'Ouverture, who liberated Haiti from French rule in the 1804. After his girlfriend Holly is fatally shot during a violent struggle, nineteen-year-old Jackson uses his supernatural abilities and travels back in time two years, where he falls in love with Holly all over again, learns that his father is a spy, and discovers powerful enemies of time who will stop at nothing to recruit him for their own purposes. Having just moved from India to Los Angeles for two years, sixteen-year-old Shalini struggles to fit in at school and to keep house for her clinically-depressed mother, but the real challenge comes when she begins falling in love with an American boy despite being engaged since the age of three. Four teenaged girls participating in a progressive juvenile detention facility on a farm have their lives changed by the experience. The summer Ryan is released from a mental hospital following his suicide attempt, he meets Nicki, who gets him to share his darkest secrets while hiding secrets of her own. Despite the medical miracle that has bought her a few more years, Hazel has never been anything but terminal, but when Augustus Waters suddenly appears at the Cancer Kid Support Group, Hazel's story is about to be rewritten. Teenaged Amy, a cryogenically frozen passenger on the spaceship Godspeed, wakes up to discover that someone may have tried to murder her. When high school student Justina ends up in a ditch in the middle of the night after prom, she stumbles to a nearby 7-Eleven where she tries to recall exactly how she got there. Best friends Jane, Victoria, and Natalya, who call themselves the Darlings, find their relationship tested when they start their freshman year at three very different high schools. Seventeen-year-old Jessica, adopted and raised in Pennsylvania, learns that she is descended from a royal line of Romanian vampires and that she is betrothed to a vampire prince, who poses as a foreign exchange student while courting her. When a failed wheat crop nearly bankrupts the Betterly family, Pa pulls twelve-year-old May from school and hires her out to a couple new to the Kansas frontier. A fifteen-year-old high school student becomes involved with an evangelical Christian girl in spite of his father's adamant atheism and his own confusion about life. Hadley and Oliver fall in love on the flight from New York to London, but after a cinematic kiss they lose track of each other at the airport until fate brings them back together on a very momentous day. When Bull Mastrick and Victor Konig wind up in the same psychiatric ward at age sixteen, each recalls and relates in group therapy the bullying relationship they have had since kindergarten, but also facts about themselves and their families that reveal they have much in common. Black Boy/White School by Brian F. Walker. When fourteen-year-old Anthony "Ant" Jones from the ghetto of East Cleveland, Ohio, gets a scholarship to a prep school in Maine, he finds that he must change his image and adapt to a world that never fully accepts him, but when he goes home he discoversthat he no longer truly belongs there either. Hudson Avery gave up a promising competetive ice skating career after her parents divorced when she was fourteen years old and now spends her time baking cupcakes and helping out in her mother's upstate New York diner, but when she gets a chance at a scholarship and starts coaching the boys' hockey team, she realizes that she is not through with ice skating after all. Gifted college student Jennifer Kaijwara is approached by a secret government organization to become a field agent, and must face the grueling training process as well as the disapproval from her family. Forced to relocate to the gothic mansion of a new stepfather that her mother met only three months earlier, Isobel fights a taboo infatuation for her stepbrother, remembers her mentally ill late father and fears for her sanity when she begins to see things that do not exist. In 1192 A.D. on Wilde Island, Tess, the daughter of a cruel blacksmith, is accused of witchcraft and must flee, but when she meets a handsome and enigmatic warden of Dragonswood who offers her shelter, she does not realize that he too harbors a secret that may finally bring about peace among the races of dragon, human, and fairy. In 1984, following her mother's suicide, 15-year-old Maya and her Sikh father travel to New Delhi from Canada to place her mother's ashes in their final resting place. On the night of their arrival, Prime Minister Indira Gandhi is assassinated, Maya and her father are separated when the city erupts in chaos, and Maya must rely on Sandeep, a boy she has just met, for survival. Wary of romance following her mother's second divorce and resistering her friends' attempts to fix her up with the hottest guy in school, Piper's life gets complicated when she receives a series of Valentines from a secret admirer. 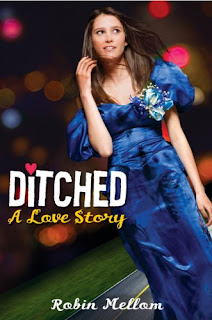 When sixteen-year-old Chelsea Martin's future stepmother gives her a total makeover, she attracts all of the wrong boys and drives away many girls, but her friend Janelle keeps telling Chelsea to be true to herself, while helping her find a way to catch the eye of Nicholas, the one "non-jerk" at school. Fourteen-year-old Ricki Jo, a Kentucky farm girl, learns that popularity is not all she hoped it would be when the huge changes she makes in her personality and style seem to do more to drive away old friends than to win new ones.